UNITED NATIONS, Apr 10 2014 (IPS) - The 132-member Group of 77, the largest single coalition of developing nations, has urged Secretary-General Ban Ki-moon to provide, “as soon as possible…alternative options for banking services” in New York City following the mass cancellation of bank accounts of U.N. missions and foreign diplomats. The draft resolution, a copy of which was obtained by IPS, is an “agreed text” which has the blessings of all 132 countries, plus China. Currently, the bank handles billions of dollars in the accounts maintained by the United Nations and its agencies in New York City. The Group expresses “deep concern” over the decisions made by several banking institutions, including JP Morgan Chase, in closing bank accounts of mostly developing countries, and diplomats accredited to the United Nations and their relatives. At a closed-door meeting of the G77 last month, speaker after speaker lambasted banks in the city for selectively cutting off the banking system from the diplomatic community, describing the action as “outrageous”. Their anger was directed mostly at JP Morgan Chase (formerly Chemical bank) which was once considered part of the U.N. family – and a preferred bank by most diplomats – and at one time was housed in the secretariat building. The G77 is expected to hold consultations with member states outside the Group, specifically Western nations, before tabling the resolution with the 193-member General Assembly later this month. If any proposed amendments are aimed at weakening the resolution, the G77 will go for a vote in the Assembly with its agreed text, a G77 diplomat told IPS Thursday. But with the Group having more than two-thirds majority in the Assembly, the resolution is expected to be adopted either with or without the support of Western nations. If adopted by a majority vote, the secretary-general is expected to abide by the resolution and respond to its demands. And to this end, the G77 invites all members to provide the secretary-general with relevant information that will facilitate the elaboration of such report. In an appeal to the United States, the G77 has also underscored the importance of the host country taking the necessary measures to ensure that personal data and information of persons affected by the closure of accounts is kept confidential by banking institutions, and requests the secretary-general to work with the host country in that regard and to report to the General Assembly within 90 days. 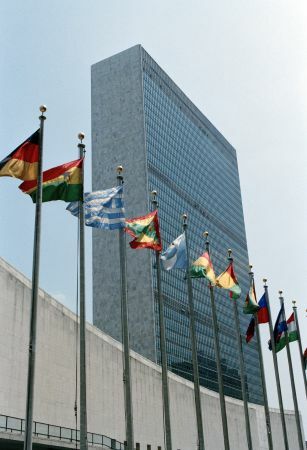 The closure of accounts was triggered by a request from the U.S. treasury, which wanted all banks to meticulously report every single transaction of some 70 “blacklisted” U.N. diplomatic missions, and individual diplomats – perhaps as part of a monitoring system to prevent money laundering and terrorism financing. And as a convenient alternative, they have closed down, or are in the process of closing down, all accounts, shutting off banks from the diplomatic community in New York.